Yin Yang Balance blends the stillness and depth of Yin Yoga with more dynamic Yang practices, a beautiful fusion of movement and surrender. This class is suitable for those who want to add a little extra challenge to their practice without straining too much. . 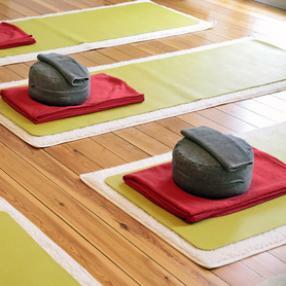 Gentle Level 2 class is perfect for those wishing to gain more depth and understanding of the practice. Feel the benefits of engaging the breath while practicing standing and balancing postures, as well as mindfulness in backbends, twists and semi inversions. Modifications will be explored to fit the needs of all participants, new or advanced. 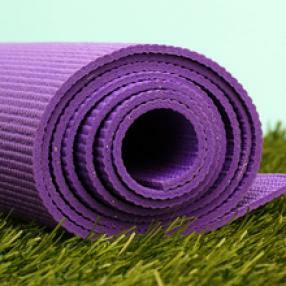 Our Stretch & Breathe is better known in the yoga world as Vinyasa yoga, with Vinyasa meaning ‘to flow with the breath’. Inhale to move one direction and exhale to move another, our an hour long class allows you really get into some deep stretches and really feel the benefits of Yinyasa! Our Stretch and Breathe Classes are a great addition to our strength and metabolic conditioning classes and help to relieve tightness and stress from the body, along with building strength (think toned arms, a strong core and defined legs) and increasing your overall fitness and endurance. More than a physical practice, it is a gift for your mind. ISHTA Yoga is a fantastic method for all practitioners of yoga, whether you are a beginner or advanced yogi, you can deepen your understanding of how yoga can enhance your life through self awareness. For a powerful yoga experience, this class blends Asana (postures), Pranayama (breathing techniques), meditation and yoga philosophy. The word ISHTA stands for the Integrated Sciences of Hatha – the physical practice of yoga; Tantra – the yogic philosophy that acknowledges our inherent perfection; Ayurveda – the Indian science of healing, and the development of yoga practice that’s personal and holistic. 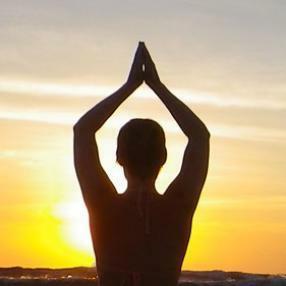 A dynamic and stimulating approach to learning yoga, this class will explore the beauty of the breath and how it enhances asana practice, while utilising specific mantras and Tantric visualisation techniques. We also practice the ISHTA DIKSHA, a Kriya (cleansing) yoga meditation which brings peace to the mind and strength to the heart. A bit of yang and then a bit of yin, a bit of flow and then a bit of deep. This class is the perfect combo of movement and stillness - flowing through the first 30 minutes and then sinking into bliss at the end. A fantasticly well-rounded practice with the benefits of both styles. Vinyasa Flow moves through the postures progressively with an emphasis on uniting mindful movements with breath. Variations of yoga postures offered in an intelligent sequence to generate warmth in your body. This practice builds strength, flexibility and concentration. Students would need to have some yoga experience or regularly partake in other physical activities. Students that are comfortable and confident to self adjust their own practice are also able to attend this class. A class for all members of the community, all experience levels and all bodies! Energising yoga suitable for beginners through intermediate. Book via the Rebalance website: 2/. Class runs from 6:20-7:20 at the Stafford studio. A class for the more experienced Yogi/Yogini who is seeking a more challenging practice. Let us take you on a playful and soulful yoga journey. This class combines physical asana practice, with a dash of meditation and pranayama. It is an accessible, mixed level class, where options are offered to cater for individual needs. Always a delicious choice!